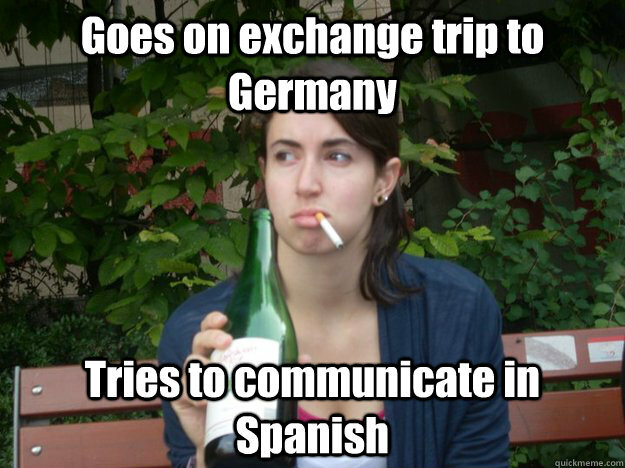 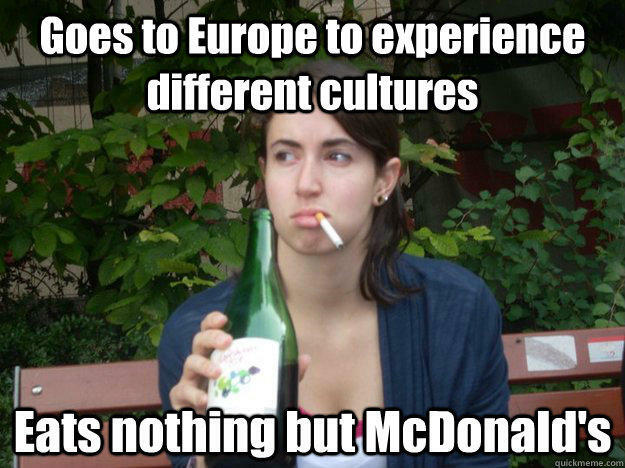 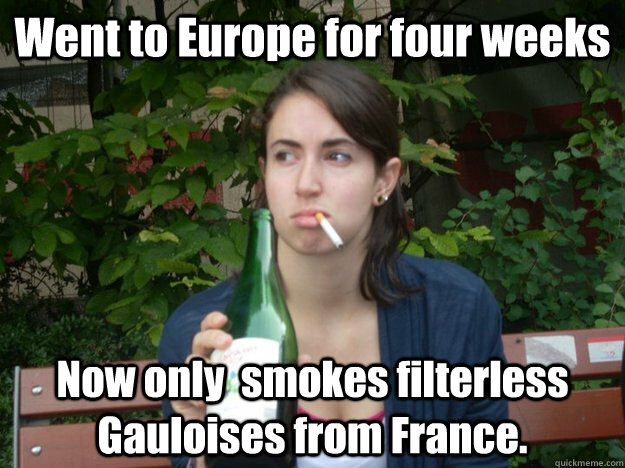 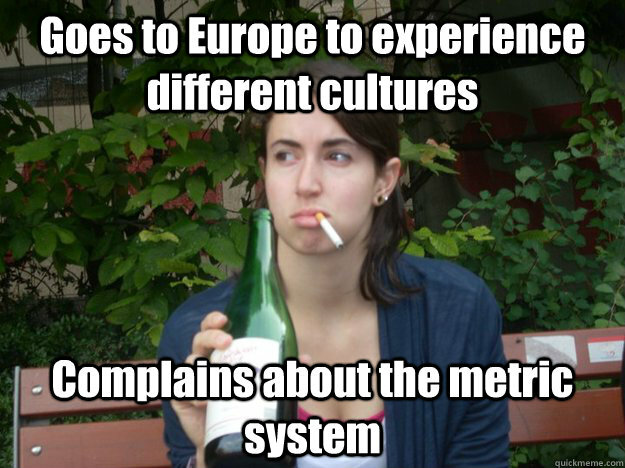 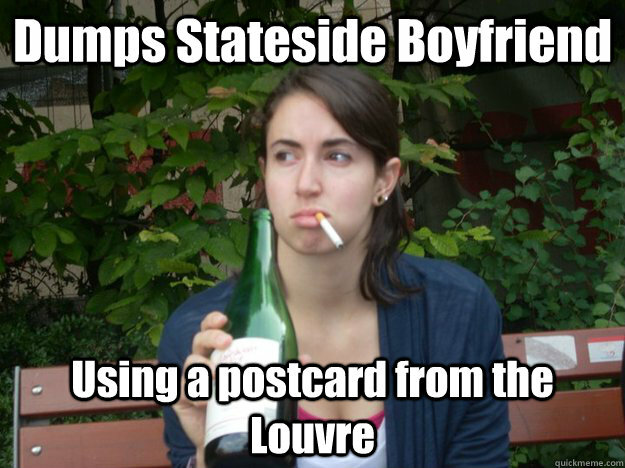 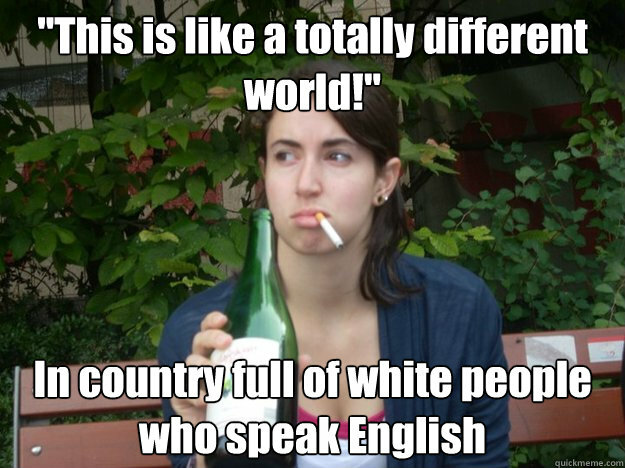 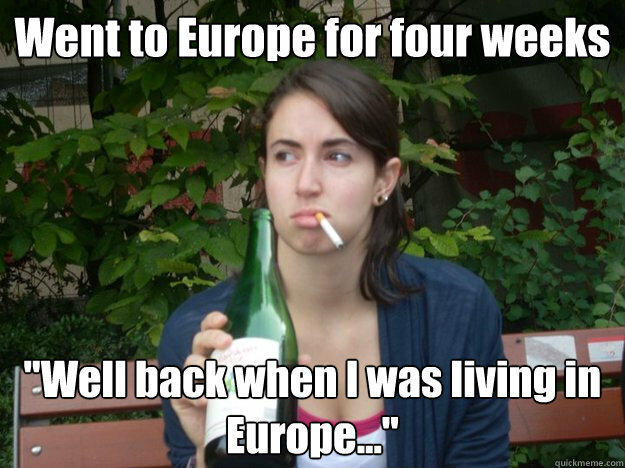 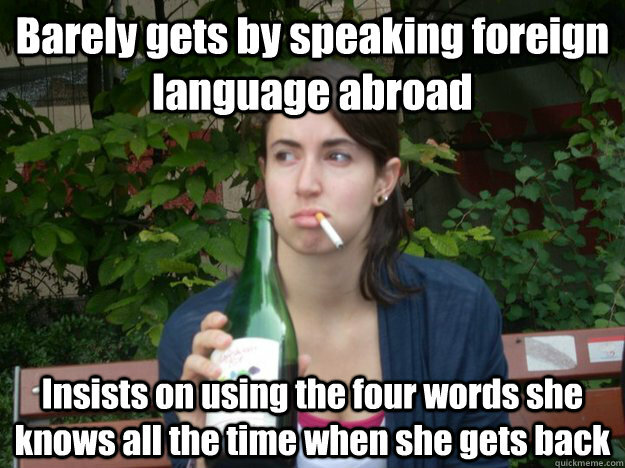 Went to Europe for four weeks "Well back when I was living in Europe..."
Went to Europe for four weeks Now only smokes filterless Gauloises from France. 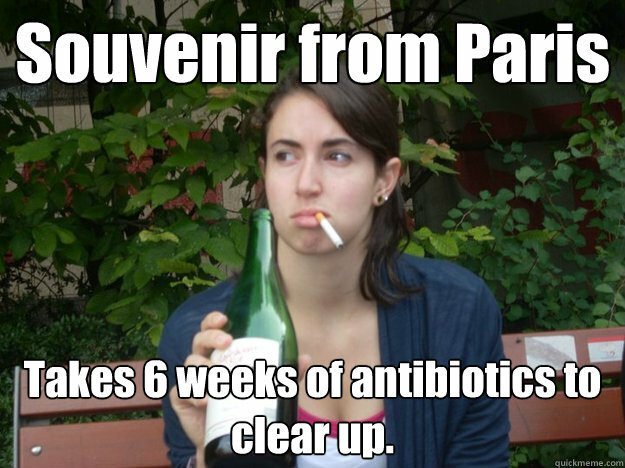 Souvenir from Paris Takes 6 weeks of antibiotics to clear up. 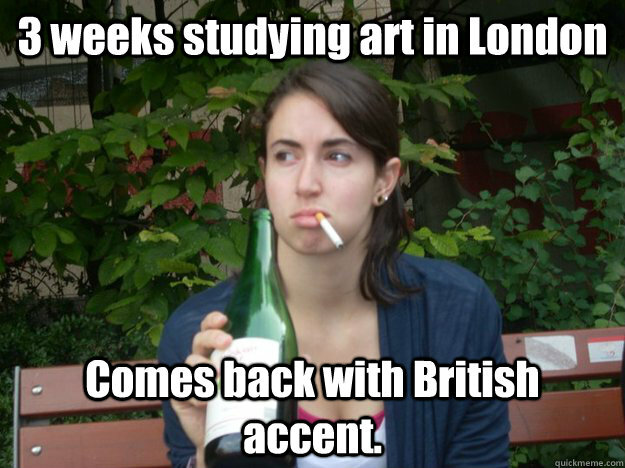 3 weeks studying art in London Comes back with British accent. 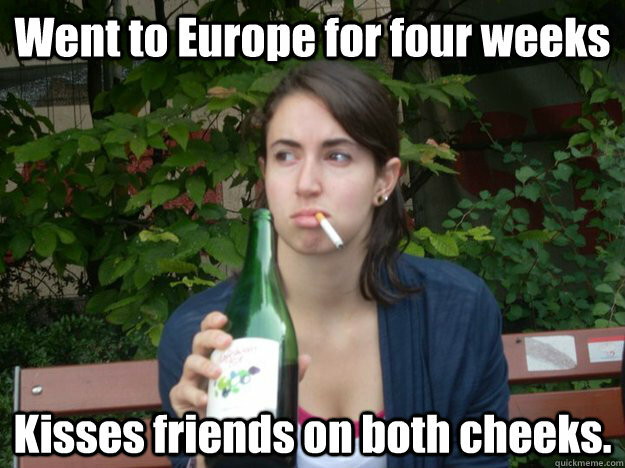 Went to Europe for four weeks Kisses friends on both cheeks.